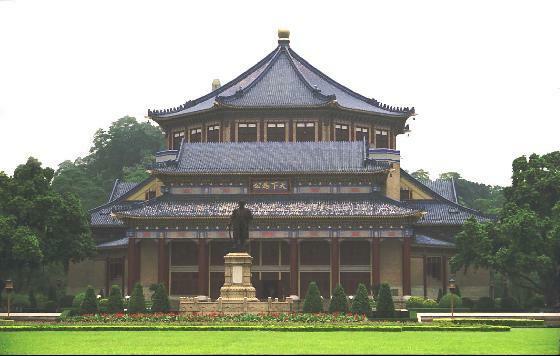 The Sun Yat-Sen Memorial Hall (Guangzhou, China ) was built from 1929-1931 with funds from local and overseas donors. It was designed by the Chinese architect Lu Yanzhi, and is modeled roughly after the temple of heaven in Beijing. It stands 150 feet tall and the main dome is octagonal, rather than round. The building is made of reinforced concrete and was thoroughly renovated and modernized in 1998. It is used as a cultural center for the performing arts.